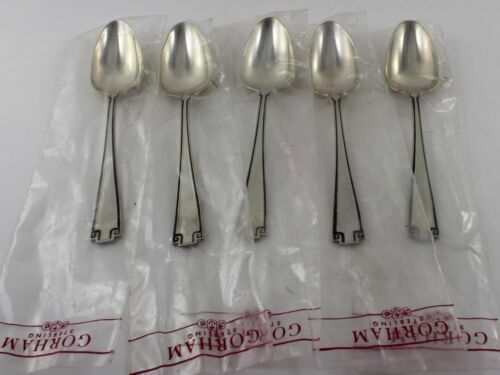 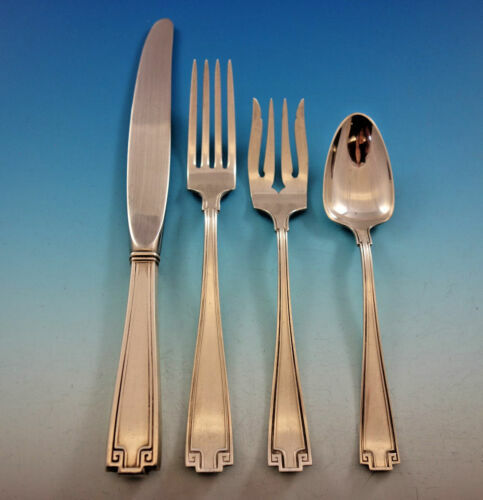 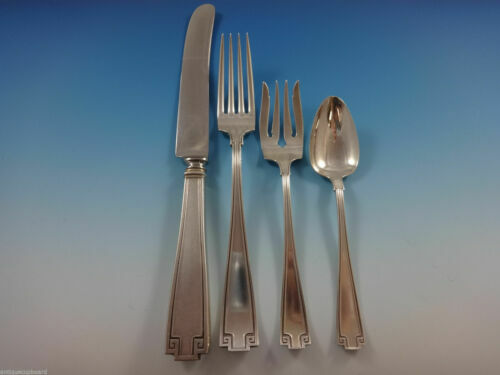 $359.0 Etruscan by Gorham Sterling Silver Salad Serving Set All Sterling 7 5/8"
$389.0 Medallion aka Etruscan by Shiebler Sterling Silver Teaspoon 6 1/4"
$147.8 (6) GORHAM STERLING SILVER DINNER KNIVES: ETRUSCAN, 1913, A MONOGRAM 9 3/4"
$209.0 Etruscan by Gorham Sterling Silver Sardine Fork 5"
$289.0 Etruscan by Gorham Sterling Silver Steak Knife Set 4pc HHWS Custom Made 8 1/2"
$439.0 Etruscan by Gorham Sterling Silver Salad Serving Fork Gold Washed 10 1/2"
$399.0 Etruscan by Gorham Sterling Silver Fish Fork Set 4pc AS Custom Made 7"
$140.0 8 Vintage Gorham Etruscan Solid Sterling Silver Flat Butter Spreaders Mono "M"
$65.0 VINTAGE STERLING SILVER ART DECO GRAVY LADLE ETRUSCAN PATTERN 1913 BY GORHAM 7"
$389.0 Etruscan by Gorham Sterling Silver Hand Mirror #C-5733 10"
$189.0 Etruscan by Gorham Sterling Silver Salad Serving Fork Pcd All Sterling 7 1/2"
$1847.12 GORHAM ETRUSCAN STERLING SILVER SET FOR 8 by 6 SUPER SHAPE FLATWARE SET 48 pcs. 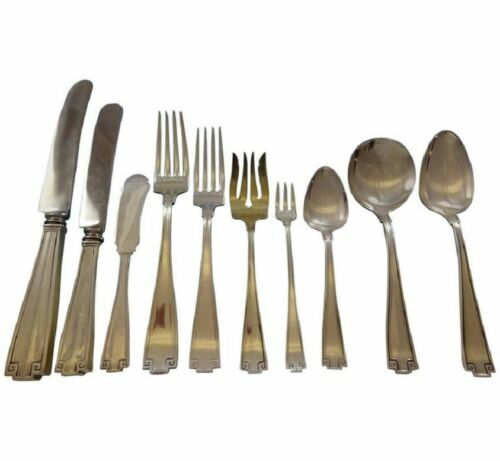 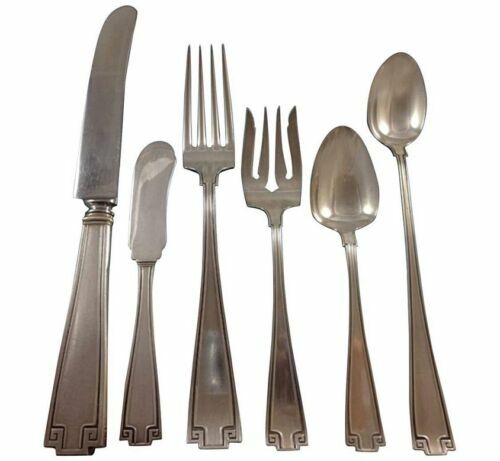 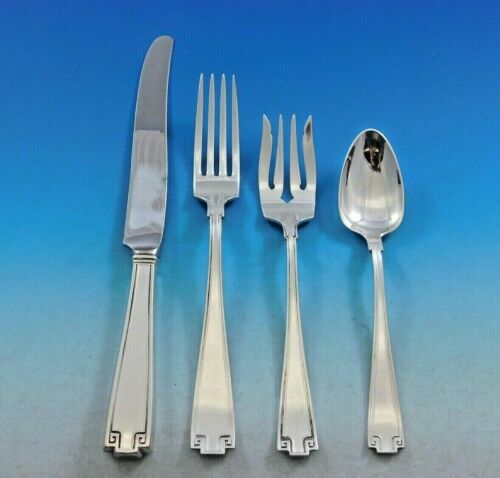 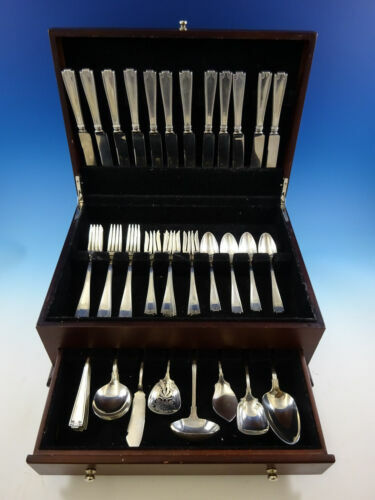 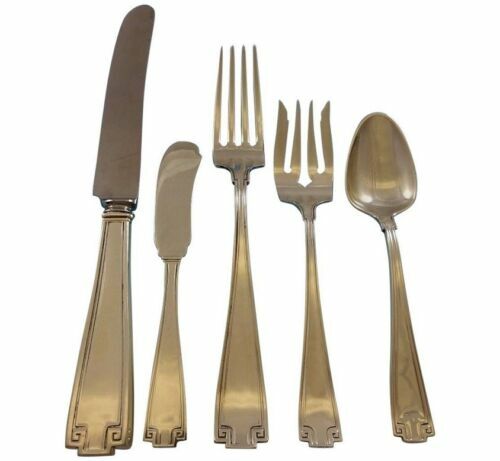 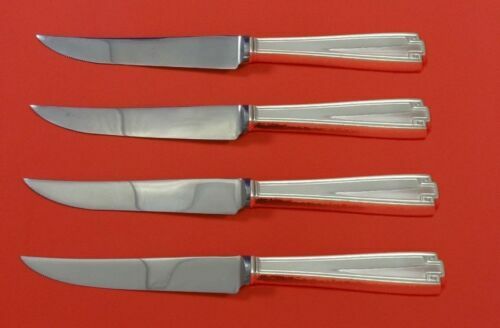 Buy: $2195.0 Gorham ETRUSCAN Flatware Set for 8 STERLING 48 Pieces! 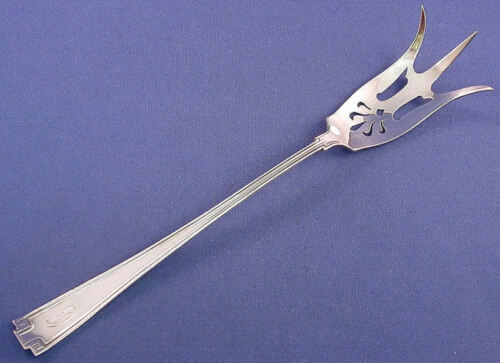 CLASSIC!!!! 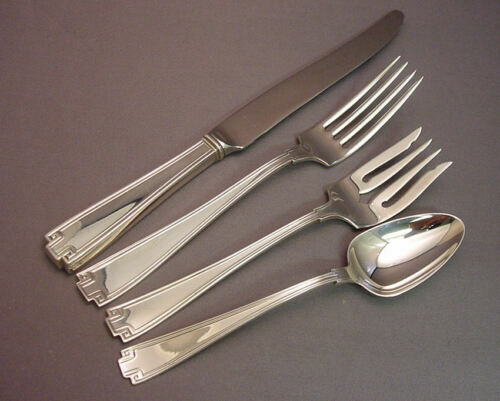 No Monograms! 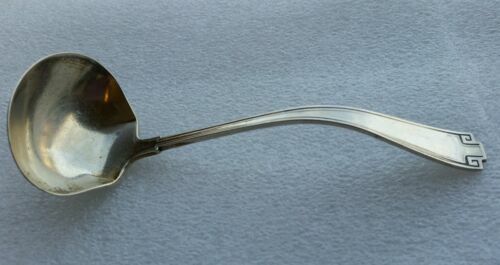 $189.0 Etruscan by Gorham Sterling Silver Berry Spoon 8 7/8"